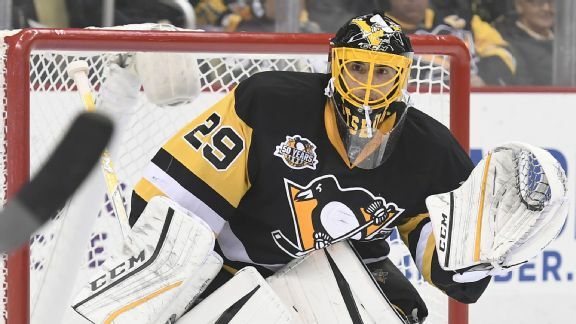 Despite his early departure, Marc-Andre Fleury -- who stopped all seven first-period shots he faced Tuesday -- earned his 402nd career win to pass Chris Osgood (401) for sole possession of 12th place on the NHL's all-time list. 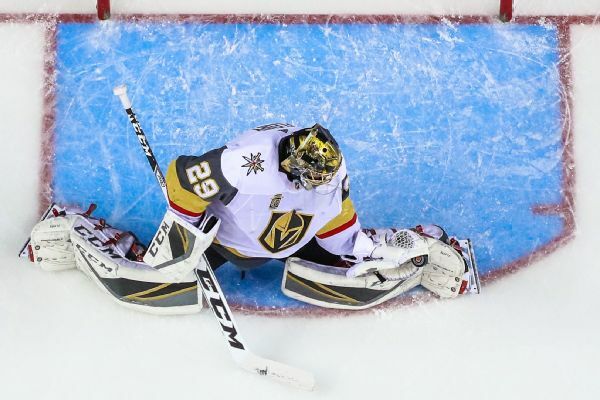 Are the Golden Knights the best expansion franchise ever? The NHL's newest team is off to a historically great start. Its recent eight-game run tied Vegas with the 1976-77 Nuggets for the longest winning streak by a pro franchise in its inaugural season. Here's how it stacks up against other first-year forays. 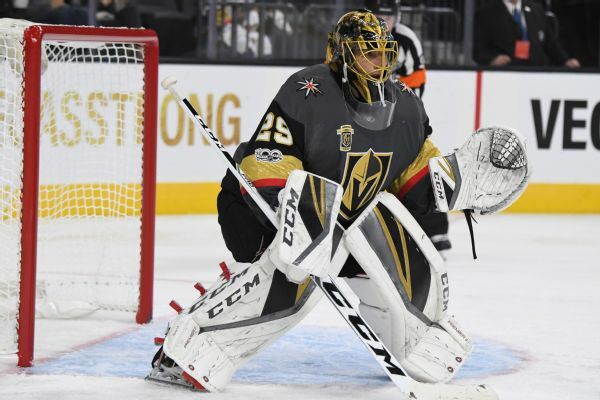 The Golden Knights have activated goalie Marc-Andre Fleury from the injured list after he missed 25 games with a concussion. In a wide-ranging interview, Predators superstar defenseman P.K. 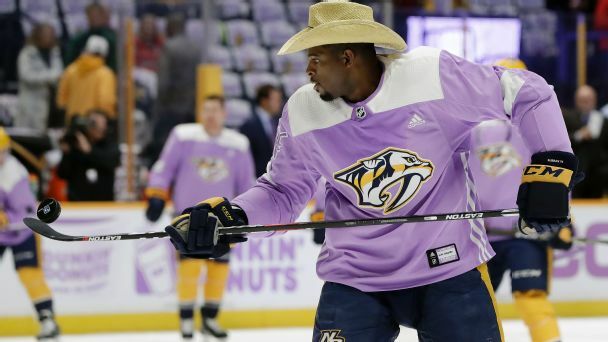 Subban talks about his family, the shocking trade by the Canadiens, an athlete's place in social media activism and playing in a predominantly white sport. Oh yeah, and country music. 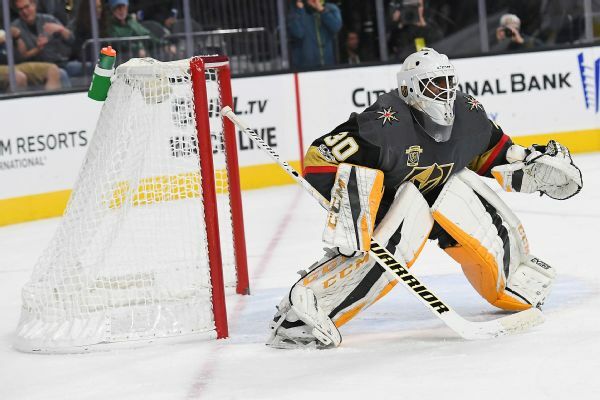 The Vegas Golden Knights activated goalie Malcolm Subban from injured reserve Friday. Subban left with a lower-body injury Oct. 21 in the third period of an overtime victory over St. Louis. 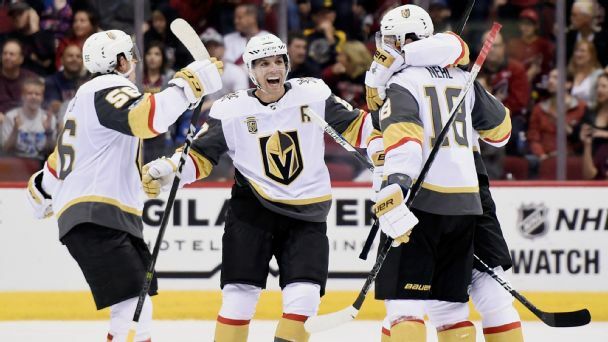 Vegas is the first franchise in NHL history to win eight of its first nine games during its debut season. 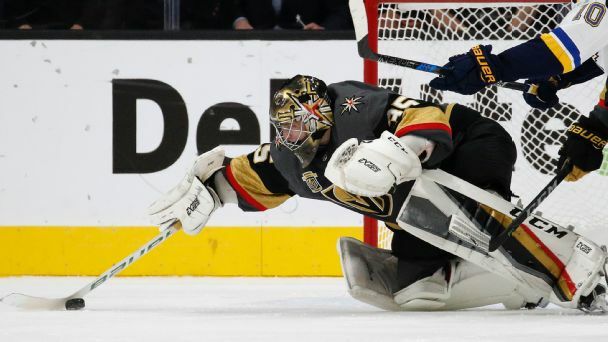 But the real test comes as the Golden Knights hit the road to play six games in nine days, including matchups against four of the Original Six. 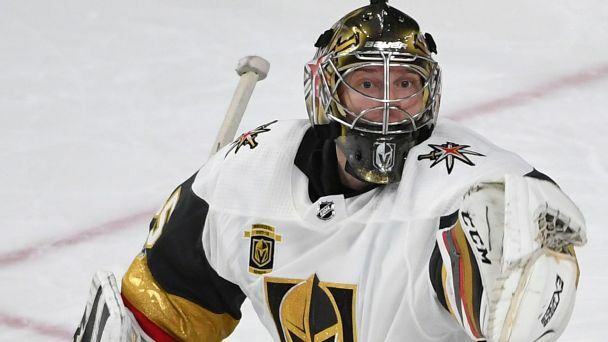 Thanks to strong goaltending and a couple of other key factors, the NHL's newest expansion team is off to an unprecedented 6-1-0 start. But the real test for the Golden Knights is upcoming, when they move away from their cozy confines. 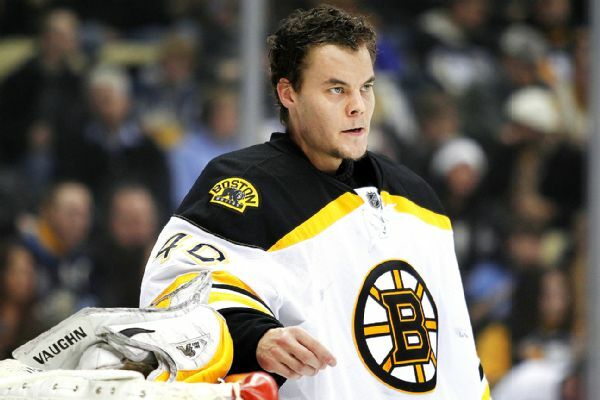 Goaltender Tuukka Rask, who hasn't played since suffering an injury Oct. 20, practiced with the Bruins on Friday.